Cleo Jackson, age 92, of Manchester, passed away Friday March 29th, 2019 at the Adventhealth Manchester Hospital. 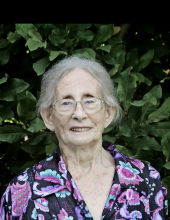 She is survived by the following 8 children: Pauline and Husband Clifford Gray, Kathleen and husband Ben Jackson, Hobert Jackson, Carl H. and wife Joann Jackson, Shirlene Jackson, Calvin and wife Ann Jackson, and Gary Jackson all of Manchester, and Debbie and husband Daniel Dalrympie of Fort Myers Florida. She is also survived by 22 grandchildren, 38 great grandchildren, 16 great great grandchildren, and her brother Vernon Jackson and wife Margie Jackson. Cleo is preceded in death by her husband Clark C. Jackson and 3 sons; Elvin Jackson, Max Lee Jackson, and Larry Jackson, her father John Jackson, her mother Alice Jackson, and the following brothers Oralee Jackson, Beckum Jackson, and two sisters Christine Sandlin and Ethel Irvin, 4 great grandchildren Logan Lewis, Destiney Raven Jackson, Michael Zachary Jackson, and Dustin Jackson. The funeral service for Cleo Jackson will be held 1 PM Wednesday April 3rd, 2019 at the Indian Grave Branch Baptist Church with Kenneth Jones and Reggie Jackson officiating. Burial will follow in the Abe Jackson Cemetery. Visitation will be after 6 PM Monday Night and Tuesday until the funeral hour on Wednesday at the Indian Grave Branch Baptist Church. To send flowers or a remembrance gift to the family of Cleo Jackson, please visit our Tribute Store. "Email Address" would like to share the life celebration of Cleo Jackson. Click on the "link" to go to share a favorite memory or leave a condolence message for the family.